I Ate My Way to Clear Skin in Six Weeks. Here's How. I Ate My Way to Clear Skin in Six Weeks. Here’s How. 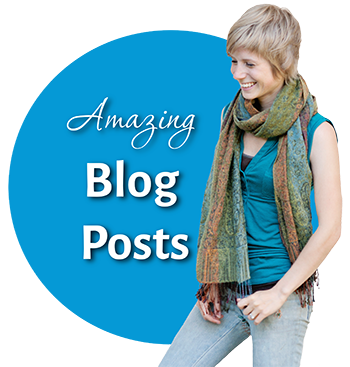 The following is a guest post by Belinda Godinez of the website Crave the Benefits. Have you tried almost everything to clear your acne? Beautiful skin can seem unacheivable, especially with the shiny new products that promise you a flawless face but don’t deliver. 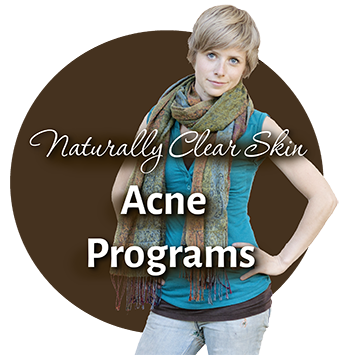 With combination skin, I had no clue how to approach my acne in my teens. I made all the mistakes. I picked my skin, used harsh cleansers, and bought pricey products that promised baby-soft skin but left me with no results. Later I learned that, just like with almost everything in life, simplicity is key. I learned I didn’t have to look at products to have beautiful skin. I began a clean eating journey a little over two years ago, and in the process I effortlessly cleared my acne. I say effortlessly only because I didn’t intend to clear my acne. 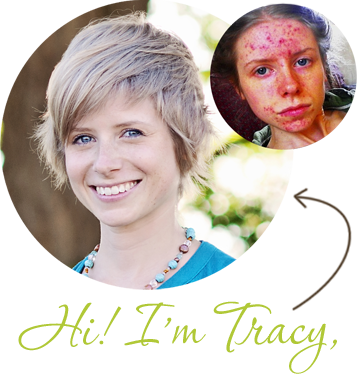 I was resigned to the idea that my face would never be what I wanted, but that changed when I realized whole foods were healing my skin. I had mild acne, mainly in my nose, forehead, chin, and chest. My skin was oily on my T-zone, and I had recurrent blind pimples on my nose (the worst!). I had resigned myself to live with it until I saw my skin clearing out several weeks after I started eating cleaner. The natural oils in my face became more balanced. Red spots and dry areas disappeared. When I retraced my steps, I realized tiny eating habits were responsible for my clear skin. The best part was that I didn’t use any creams, treatments, or go on any restrictive diets during this time, so it was cheap and truly natural. Eating clean is not just about what you eat, but how you eat. Staying hungry. It was easy to ignore when I got hungry while I was distracted online. However, this would make me overeat later or grab the closest thing in the pantry. Instead, I began having healthy snacks more frequently to control my appetite when I couldn’t have a whole meal. 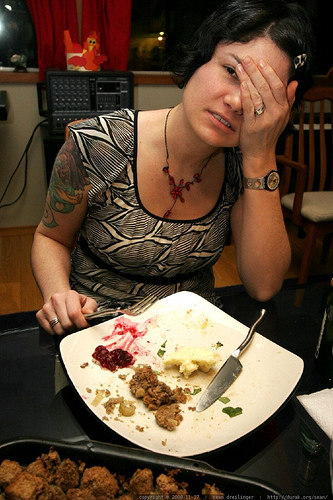 Overeating at restaurants. It’s difficult to control portions when you eat out, so I often finished a whole meal even if I was full halfway through. This is harmful because overeating triggers an inflammation response. Instead, I stopped eating when I felt almost full and took the rest home. Eating out often. It’s easier to eat outside when you don’t want to cook, but then you can’t know everything that goes in your food. Instead, I started cooking at home more often. 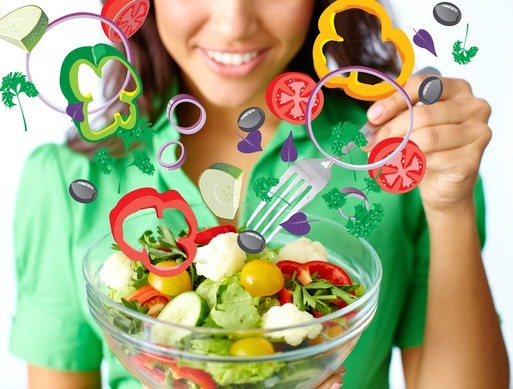 Many people assume that clean eating has to be complicated or super restrictive. That wasn’t the case for me. Junk food: French fries, chips, processed cookies, white bread, breakfast cereals, candy, sodas, and soft drinks. In summary, almost anything that came in a box or a plastic bag. Red meat: I quit red meat and processed meats. I kept only fish, shrimp, and a little bit of chicken (only chicken breasts) in my diet. 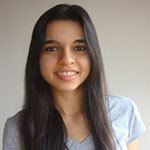 Added sugar: Besides the sugar from junk food, I removed sugar from my house. I started using only honey as a sweetener, sparingly. Some dairy: I minimized dairy consumption, but didn’t quit it completely. I quit cow’s milk, cream cheese, and sour cream, but I occasionally had cheese and plain yogurt. This was the proper balance for my skin. 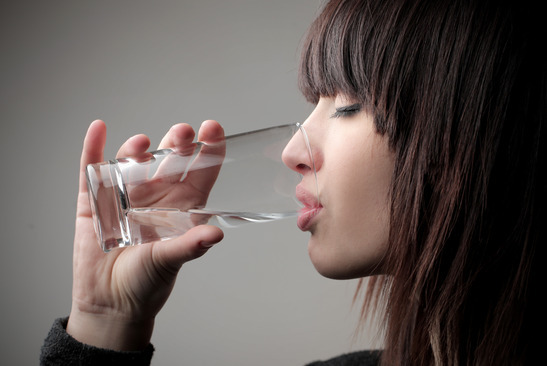 Liquids play a key role in flushing out toxins from your body, relieving inflammation, and hydrating your skin. Increasing up my liquid intake was the single most effective habit. Water: I had at least 1.5 liters of plain water and the rest from foods and beverages. I kept a glass water bottle at my desk that I filled 2-3 times per day. Green Tea: I drank at least one cup of green tea every morning and one cup of herbal tea in the evenings. Green tea has powerful flavonoids that the fight the damage free radicals cause in the skin cells. This protects your skin from imbalances and early damage. Hot chocolate: Yep, hot chocolate helped my skin… but not just any kind of hot chocolate. It was definitely not powdered hot cocoa in a box. It was homemade hot chocolate made with almond milk, raw cacao powder, honey, cinnamon powder, and a dash of vanilla essence. Cacao is rich in flavanols and polyphenols (both antioxidants) that aid skin health by protecting it against UV damage, reducing inflammation, and fighting oxidative stress. Almond milk (without sugar or preservatives) is a good dairy substitute with vitamin E, honey is a good sugar substitute with antimicrobial properties, and cinnamon is a spice with antioxidant and anti-inflammatory properties. I’m sure you’re tired of hearing how important it is to eat a lot of greens, fruits, legumes, nuts, and seeds. Put like that it seems complicated and impractical. However, I was surprised at how easy it was to add all of this to my diet with simple dishes and drinks. Green smoothies: I have a smoothie for breakfast almost every day and that makes a big difference in my skin. The smoothies ensure that I get a huge portion of the nutrients I need from greens, fruits, and healthy fats before the day even begins. I kept it simple (and cheap!) with the ingredients I used. This was enough for my skin to heal: Greens: At least 2 cups of greens. I used frozen spinach, kale, cilantro, or arugula, along with pieces of broccoli or celery. Fruits: At least 2 cups of fruits. I used mainly blackberries, bananas, strawberries, apples, pineapple, and papaya. Healthy fats: To every smoothie I add one of the following: 1 tablespoon of flaxseed meal, 1 tablespoon of coconut oil, 1 small avocado, or a handful of almonds. Liquid: Water, almond milk, or plain yogurt. Nuts and seeds: Nuts and seeds are essential for a healthy, hydrated, and balanced skin. They are full of vitamins, such as vitamin E and biotin, and omega 3’s that keep your cells healthy. The main nuts and seeds I consumed were pecans, almonds, peanuts, and chia seeds. You can have them as snacks or add them to granola and fruit. Beans: I’m currently living in Costa Rica, and beans are a huge thing here. I have several servings of black beans every single day (and love it!). Beans are high in folate, molybdenum, and fiber, which support detoxification and waste elimination. Folate also protects the skin from UV damage. Lentils: Lentils are another legume high in molybdenum, folate, and fiber, which also help to detoxify the body and eliminate waste. They are also a good source of zinc, a nutrient that plays a vital role in the process of skin renewal and healing. In fact, zinc has been shown to aid the reduction of acne vulgaris. Cacao: Besides making homemade hot chocolate, I also added cacao powder to smoothies, oatmeal, and granola.Cacao can help your skin by improving circulation, which optimizes the delivery of oxygen and nutrients to skin cells, keeping them healthy. It also helps to lower inflammation and protects against external damage that causes premature aging of the skin, such as UV rays. Tomatoes: I had a portion of fresh tomatoes with my meals almost every day, and I also made tomato sauces from scratch often.Tomatoes are rich in vitamin C and biotin, vitamins responsible for a healthy skin. Vitamin C has antioxidant properties that protect the skin from UV damage, and biotin is fundamental to keep the skin cells functioning optimally. Biotin deficiency has been linked to skin imbalances such as dermatitis. Greens: Besides having a large portion of my greens in smoothies, I also added greens to meals, particularly cilantro, lettuce, and parsley. I increased my consumption of cilantro because of its high content of dietary nitrates, which dramatically enhance circulation. What about superfoods or supplements? The only “superfoods” I adopted in my diet when I cleared my skin were chia seeds, kale, and coconut oil. Later, I began consuming quinoa regularly. However, a combination of greens is truly the only superfood you need to look forward to! I didn’t take any supplements or powders during this time because I tried my best to get all my nutrition from my diet. How much could you indulge? For full disclosure, I must admit I did indulge on not-so-healthy foods, although I still managed to keep a clear skin. My indulgences were never the junk food I quit, so that helped to keep my acne in check. Occasionally, I had some pasta, ice cream, fried rice, homemade chocolate chip cookies, fried fish, and chicken sausage. These treats didn’t make me break out because I controlled the portions I ate. It came easily because I didn’t like nor felt good eating these often or in large quantities. The lesson here was that I needed a more wholesome diet, and not necessarily a strict, inflexible one. What I learned from this experience is that you don’t always need expensive products to heal yourself. Healing starts from the inside out. Sometimes the solution is simple and obvious.But sometimes you can’t see it because you’re blinded by the promise of other products. In skin care, nothing is set in stone. The only sure thing is that your mileage may vary, which means your skin has its own needs and it will have different reactions to several solutions. This particular diet worked for me and I know it might not necessarily work for you. However, cleaning up your diet in your own way will definitely help you heal from the inside out. If you’ve been struggling with acne for a while, consider starting with your plate. It’ll be worth it. Brenda Godinez helps you build a nourishing lifestyle through the power of whole foods (without sacrificing your time…or chocolate!). Clear your skin with her free report, 10 Scientifically Backed Foods To Help Clear Your Acne by clicking here to sign up. Do you still eat whole wheat bread or whole wheat pasta? I eat pretty clean but I still keep these two in my diet, don’t know if that counts as clean eating or not. I still eat whole wheat bread and past, although not too frequently. Whole wheat toasts once a week at most, and pasta like twice a month. Clean eating doesn’t have an unique definition, it’s all about eating real, whole foods, that make YOU feel great. It means different things to different people because it depends on what makes your body thrive. Paleo advocates consider meat as part of eating clean, while vegans don’t. I have realized that my main problem is not with food, but rather with skin picking. If a pimple doesn’t resolve itself in a week – off with it’s head! Of course, this leads to scarring, and makes my face look like someone massacred it. I have read the website stoppickingonme.com, yet I still seem to not be able to stop. I feel like perhaps the pleasure I get from feeling like I am cleaning my skin and seeing something actually come out of a pimple is what keeps me doing it. I have been able to stop myself from picking at my skin, but for the most part this “no picking period” has only lasted for max 3 weeks. I am struggling to totally stop picking on my skin and finally get it to the point where it is healthy and scab-free. What should I do? Hi Charlotte, ah skin picking is such a tricky, tricky thing. When you’ve successfully stopped for three weeks, what kinds of methods have you used that have worked? Well, normally I just try to stop looking in the mirror, but eventually (whether it is putting on makeup, etc.) I have to look in the mirror, and my hands gravitate towards my face, etc. Or, I just try to time my bathroom stay, to be in and out of there as quick as possible :). I’ve decided that I am going to start the caveman regimen and see if I can stop picking – so far so good! I just feel like it takes a lot of brainpower and willpower for me to say STOOPP , don’t pick at your face Charlotte! I guess I’m just frustrated because it seems like I go in and out of these cycles of pickin-no picking…and never really seem to be able to stop once and for all. Normally it happens when I get annoyed a pimple that takes “too long” to go away. Also, I was curious if there would be any way to purchase your Skin compulsions book, without buying the entire package with all of the videos, etc. Thanks! When you changed your diet did you break out more? I have changed my diet for a week now and my skin looks like a pizza. Any ideas? Hey Jade, it’s common that your skin will get worse before it gets better when you change your diet… it’s like a detox… as you suddenly start eating really well (dramatically different than before), your body all of a sudden has a chance to catch up with it’s detoxifying duties and sometimes there is so much it can come out through your skin as acne. It doesn’t happen to everyone but it did happen to me… don’t worry, it’s just something you need to go through and it will start getting better from here! Hey you guys! I gave my self a case of orthorexia from becoming paleo to clear my skin. It definitely controlled my acne over the years. Been into the whole paleo lifestyle for a few years, but everyday has ben a restrictive struggle and it just doesn’t feel right to cut out beans and foods that seem healthy. I really believe maintaining blood sugar is the key for many ailments. I cut out white potatoes and white rice unless I eat them with a fiber rich meal. But I felt really deprived not getting carbs. I know low GI carbs exist and beans and nuts are some of them! I really think that beans can be a game changer for me. Paleo dogma says phytic acid is so and and nuts are bad cause of omega 6…but I really think that’s “nuts” cause spinach has more phytic acid than anything and as long as one is eating a source of omega 3s, I think nuts will be okay? I cut out sweet fruits, potatoes, and pretty much anything high Glycemic index / load, and that can leave a person feeling very trapped especially in the “paleo” world! I love your website and all of the nutritional information! I’m a 17-year-old girl with mild-moderate acne. I recently started eating paleo, 3 weeks ago, and my face is still breaking out. While it isn’t as severe, I’ve gotten pimples in the same areas. I exercise frequently and drink lots of water as well. Is there anything else I can try? Can you share the homemade hot chocolate recipe please? Wondering about measurements and best way to make it! Hey Tracy :)) I just wanted to ask you about eggs? Should i eat them or ? I started my low glycemic diet 1 week ago and I’m still breaking out. Is there a purging stage? How long does this usually last? When can I start to see improvement? I’m also using bestow beauty powders for extra antioxidants! Yes, it can definitely get worse before it gets better — and don’t expect instant results. One week is nothing — keep at it for several months and you’ll start to see definite improvements. Everyone is very different… it can take two weeks or many months to see changes. Good luck Courtney! I started a log for working out, I do the modified caveman regimen where I only allow water to touch my face in the shower or if I go swimming, I’m not so much afraid of water, I will dry exfoliate with a cloth every once in awhile like 1-2 times a week whenever I feel dry or flaky. Diet comes with working out and I’ve been eating 4k calories a day to meet my goals, but I cut out eggs, dairy, and gluten. I eat beans, corn, peanut butter, nuts/seeds, chicken (I don’t like rice and think beans are better anyway). It’s only been 4 days on this diet and I already feel so much better. Prior I was eating a lot of junk, anything and everything. So far my sinuses are clear, my breathing is way better, my sinuses are no longer congested. My skin is becoming more chalky like, not dry not oily but chalky likes its shedding off skin at an ever more rapid pace as opposed to being oily and producing large flakes. I definitely feel like it’s having a good impact on my skin as I already know it is having a good impact on my sinuses and my overall stomach. My neck and upper back has been cracking on it’s own, like its’ relieving pressure! My neck is so much more fluid now, not stiff or hard. I did get a few pimples around my shoulders (they are healing now) but I think that’s part of the purge. When I was younger I got 100% clear eating like crap doing the caveman regimen, but I was pretty unhealthy and always had sinus problems. Because of that I just thought diet never affected my skin health, but the fact of the matter is it does, I’m not sure exactly how but so far so good. I’m going to continue this diet for the next 10 weeks because that’s my goal weight…I’m more likely to do this for the rest of my life tbh just because I’ve made this my lifestyle now. Will report back later on skin improvements in the coming weeks! I was wondering if this diet is doable if I’m currently a college student?